The range includes options for Type 1 (most US and Japanese manufacturers) or Type 2 (EU Standard) connections and is available in single phase and three phase options. 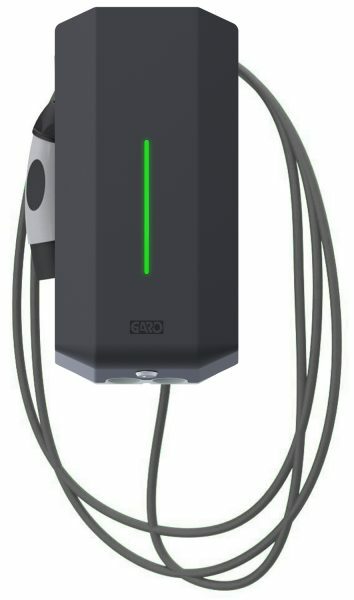 The home charger has been specifically developed for the safe and efficient charging of your electric vehicle at home or at your workplace car park. It is available in either 16A or 32 Amp versions and comes with one or a fixed type 1 connector, fixed type 2 connector, or a type 2 socket for greatest flexibility. Fixed Type 1 or Type 2 connection cable, or Type 2 Socket outlet, ensuring there is an option for all makes of EV. Stylish and compact design makes it perfect for your home or apartment / work car park. 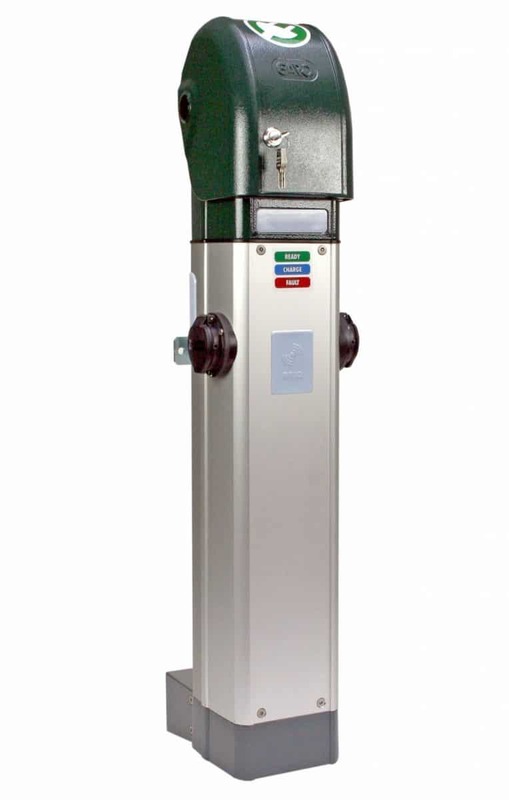 The robust design of the LS3 is the ideal solution for public charging stations where time is not a concern. Available in a wide range of configurations including single or three phase 16A or 32A with a number of additional options. The ease of installation of AC unit and wide options for kWh output make them perfect for public areas such as restaurants, shops, councils, workplaces etc. Why not install a GARO Semi fast charging post to attract people to your location? Connection configurations include – 2 x Fixed Type 1, 2 x Type 2 fixed connection cable, 2 x Type 2 Socket outlet, or combination of 1 x Typ1 fixed connection and 1 x type 2 socket outlet ensuring there is an option for all makes of EV. Safety features including an RCBO per connection and a lockable lid as well as a simple robust design to ensure reduced maintenance. Communication capable with either LAN or 3G connection as well as OCPP allowing connectivity to web backend systems. Available in either single Phase and three phase options up to 22kW output for semi rapid charging at a fraction of the cost of DC charging. Robust design and wide range of options make it ideal for public places such as Councils, Restaurants, Shopping centres, Apartment blocks work spaces etc.